ViiniExpo is a Finnish wine fair that happens every second year in Messukeskus, Helsinki. It has started for me on Friday. Since I am working with wine, I was there to present the wines from our partner. However, I am not going to tell you in detail about them. Only I must say that I rarely see such a consistent lining of wines. This is a situation that Hegel would have loved… if he ever “loved” anything… To my mind, if you want to prevent excessive drinking, it is strange to initiate people to drinking by having them buy the wine. For sure, if you pay your glass, you drink it. When you can just taste for free, you are likely never to finish any glass. Besides, you can taste much more wines, discover new things and educate yourself. The selection of white wine I have been presenting. Among them, I strongly advise to remember Mayu Riesling 2015, an easy drinking and enjoyable wine for Summer. I was a bit worried on how will the day go, especially since Friday was a 9h marathon. Well, it was great. Tiring but great. Not a single minute to taste anything else but what we had on the stand. No time to eat neither. The event is really classy, well managed and quite exclusive. The customers were in the vast majority very enthusiastic and open minded. They were curious about the wines, wanting to know more. It was definitely very exciting and very pleasant. The public, I would say, is different from France. This is something I have already noticed while giving the wine lessons. Finns are much more humble and ready to learn, whereas in France, everybody is convinced to know everything about wine. French guys, you know ;). Also, in France, the wine culture is quite wide spread, so you meet people from very different origins and background. In Finland, there is something more “exclusive” about it, since it is not a traditional beverage. But what about the effect of paying for tasting? Well, I must say that I saw more people with a little too much than in events where you taste for free: an immense but logical paradox. It is also very frustrating not to be able to have them taste a few of the different styles, so in the end, people often go for what they are used to drinking. 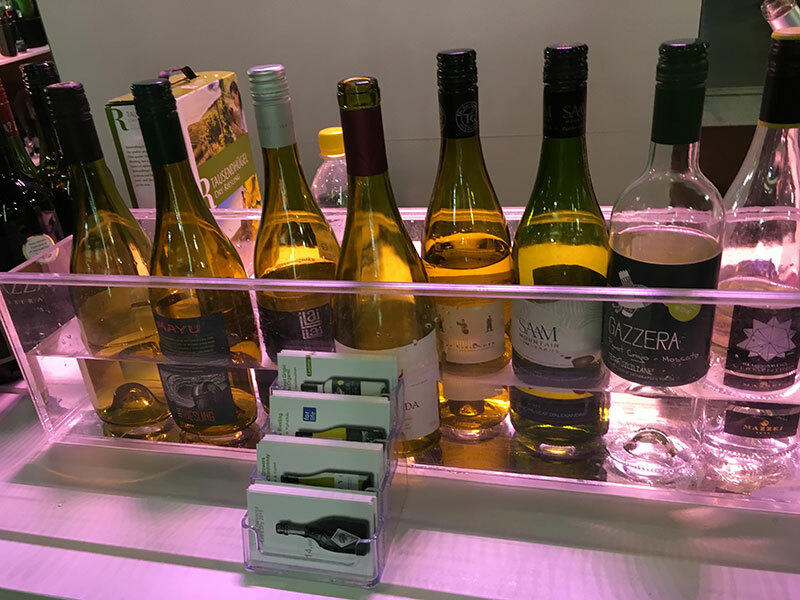 The positive aspect is that nobody is serving two drops of wine in a dirty glass (like it happens sometimes in France) and exhibitors don’t have a too high sample costs. After these impression on my first day, where music was not in the picture, I will tell you about the second day. It was hectic. But fantastic!